Once attacked, the defending pokemon is confused, if not dead. 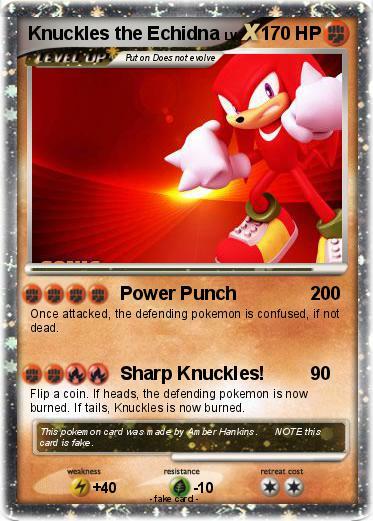 Attack 2 : Sharp Knuckles! Flip a coin. If heads, the defending pokemon is now burned. If tails, Knuckles is now burned. Comments : This pokemon card was made by Amber Hankins. NOTE this card is fake.